Michael Grynbaum: "But thanks to exquisite timing, an ear for the zeitgeist and an assist from the momentum and immediacy of the Internet, a $250,000 pledge from Mayor Michael R. Bloomberg to Planned Parenthood on Thursday turned into one of his biggest political coups in years...The donation...reflected the mayor's longtime support for the causes of reproductive rights and women's health." The Times skipped the less-flattering side of Bloomberg's enthusiasm for abortion. Raising not a whisper of criticism about the righteousness of Bloomberg's pro-abortion cause, Grynbaum called it the mayor's 'biggest political coups in years and gave him, at least for the moment, a rejuvenated voice on the national stage,' and claiming it 'reflected the mayor's longtime support for the causes of reproductive rights and women's health.' But Grynbaum skipped the less flattering side of Bloomberg's apparent enthusiasm for abortion. By Bloombergian standards, the check did not have a whole lot of zeros. This is a mayor who measures his generosity by the millions. But thanks to exquisite timing, an ear for the zeitgeist and an assist from the momentum and immediacy of the Internet, a $250,000 pledge from Mayor Michael R. Bloomberg to Planned Parenthood on Thursday turned into one of his biggest political coups in years and gave him, at least for the moment, a rejuvenated voice on the national stage. The donation, made public in a Twitter message just as the controversy over a breast cancer advocacy group's decision to rescind funding for Planned Parenthood was intensifying, reflected the mayor's longtime support for the causes of reproductive rights and women's health. Still, Mr. Bloomberg's generosity coincided with a nicely arranged set of political circumstances. He is midway through a rocky third term, with middling poll numbers and growing criticism from the candidates who hope to succeed him. He is also eager to cement his legacy and to remain part of the national conversation as his political career comes to a close. The donation served as a reminder that with his billionaire's checkbook and his bully pulpit, Mr. Bloomberg retains an extraordinary ability to command attention. And on Friday, when the Susan G. Komen for the Cure foundation reversed its decision and said it would restore funding to Planned Parenthood, he was offered some of the credit. 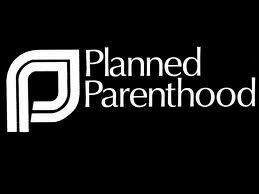 It took less than three hours for Planned Parenthood to receive $250,000 worth of additional donations, the full amount that the mayor had pledged to match. 'It was like wildfire,' Ms. Richards said. While Grynbaum hailed Bloomberg's pro-abortion donation, he skipped over sordid allegations stemming from the last time Bloomberg made an emotional personal statement on abortion, in 1997, when he allegedly told a sales executive at his financial firm to 'Kill it!' after she became pregnant. That charge came out in the paper's coverage of a lawsuit filed by the federal government in 2007 against Bloomberg L.P. The case could be damaging to the mayor, however, as he seeks to boost his national profile and flirts with a presidential bid. In a similar case, Mr. Bloomberg was sued in 1997 by a sales executive who claimed that after she became pregnant, Mr. Bloomberg urged her to have an abortion, telling her, 'Kill it!' and saying sarcastically, 'Great! Number 16,' apparently referring to the number of pregnant women at the company. Mr. Bloomberg adamantly denied any wrongdoing and settled the case out of court for an undisclosed amount.